Enjoy the best inspirational, motivational, positive, funny and famous quotes by Anton Balasingham. Use words and picture quotations to push forward and inspire you keep going in life! It is an unfortunate personal tragedy. 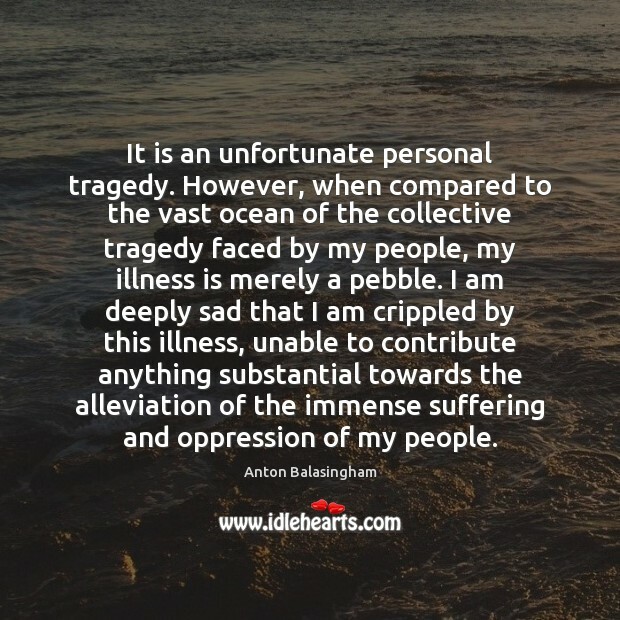 However, when compared to the vast ocean of the collective tragedy faced by my people, my illness is merely a pebble. I am deeply sad that I am crippled by this illness, unable to contribute anything substantial towards the alleviation of the immense suffering and oppression of my people.